Jackie Robinson believed in a God who sides with the oppressed and who calls us to see one another as sisters and brothers. This faith was a powerful but quiet engine that drove and sustained him as he shattered racial barriers on and beyond the baseball diamond. Jackie Robinson: A Spiritual Biography explores the faith that, Robinson said, carried him through the torment and abuse he suffered for integrating the major leagues and drove him to get involved in the civil rights movement. 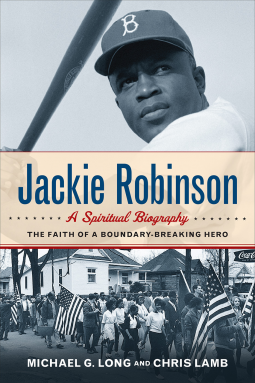 Marked by sacrifice and service, inclusiveness and hope, Robinson’s faith shaped not only his character but also baseball and America itself.